Two years ago, Bridget and David were broadsided in their Mazda3 when another driver ran a red light going nearly 50 mph. Both Bridget and David walked away from the crash with only minor bruises. 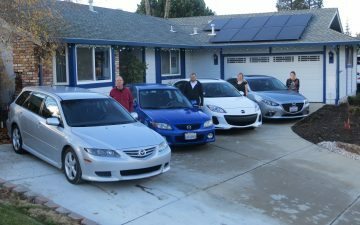 Over the past four years the family has purchased 15 Mazdas. It all started in 2012, when Sam’s son Dan and Dan’s wife Alicia were looking for a new car. Sam also found himself looking for a new car to drive for his business. As a computer-engineering consultant, Sam drives to his customer’s sites, bringing along the equipment he needs to do his work. 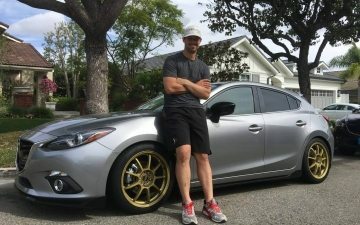 Having driven Alicia and Dan’s cars, he decided to get a Mazda, too. Sam test drove a few different Mazdas but ultimately chose the Mazda2 for its great fuel economy and functional-hatchback design. What really sold Sam on the Mazda2 was the way it drove. 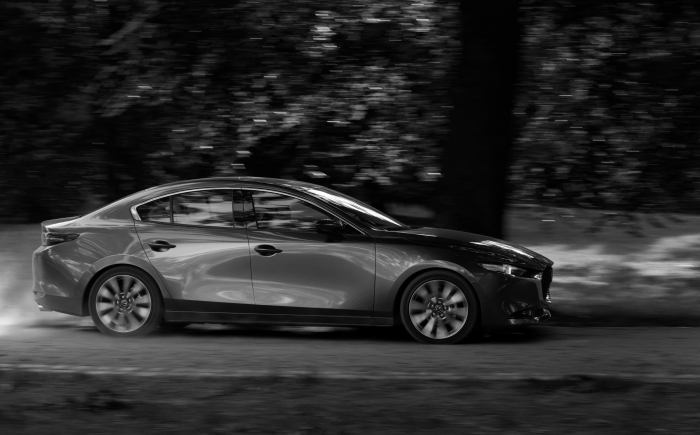 Along with the Mazda2, Sam and his wife Norma have owned a Mazda3, a Mazda6 and two CX-5s. Sam recently added a 2016 MX-5 Miata to his lineup that he got for Christmas. In fact, the same day he and Norma picked up their new MX-5, they traded-in their 2015 CX-5 for a 2016 CX-5. 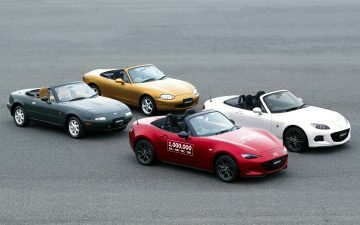 Asked which Mazda is his favorite, Sam immediately replies the MX-5, citing it as everything he’s always wanted in a car.